We’ve made some great progress encouraging people to use products like reusable bags, travel mugs instead of disposable ones, and natural cleaning products you make at home instead of hazardous chemicals from the store shelves. More and more disposable products are now compostable, keeping them out of the landfill, but some companies are taking it to the next level. Things that can be planted after use. Yes, plantable garbage. how does your garbage grow? Reduce. Reuse. Grow. is researching a way to make coffee cups that can be planted after use. They are striving to serve zero waste products with a twist. You can see more about this project by visiting Plant Trash. Weddings are going eco-chic with plant-able invitations printed on seed paper. Botanical Paperworks doesn’t stop at weddings though. They also offer business cards, holiday cards, Christmas gift tags, coffee cup sleeves that are available in wildflower, veggie, and herb seed paper. They also have plant-able calendars. How cool is that?! In addition to a garden full of seeds, the calendar offers planting tips, recipe ideas, and harvesting tricks. I love these pencils and splurged on a set. Sprout Pencils contain eight herbs (basil, cilantro, dill, mint, parsley, rosemary, sage, and thyme). When the pencil gets too short to use anymore, just stick it into the ground. Just make sure not to leave your pencil out in the rain. Again, you can’t plant these items, but you can use them to plant… plants. So many zero waste, living green intentions are bound to fail unless they become habits. Joybilee Farm has 42 zero waste habits for living green that will save you money. It is estimated that American households throw away 14% of the food they buy, which makes 470 lbs a year or $600 a year. My Healthy Green Family offers 5 things you can do to reduce your household food waste. Homespun Seasonal Living chats about waste not, want not frugality – a path to help change our mindsets about money, budgeting and likely gratitude. Disposable products, packaging, electronics that seem to define planned obsolescence, it all ends up in the landfill. Attainable Sustainable has solutions to reduce your household waste. I do not know why I got the email, I do read what you send most of the time, may not reply, but I do read them. I’m sorry for the confusion Bettye. In an attempt to not fill people’s inboxes with stuff they don’t want, I occasionally send an email out to see if people are still interested in receiving our emails. It’s an automated system and not always accurate. 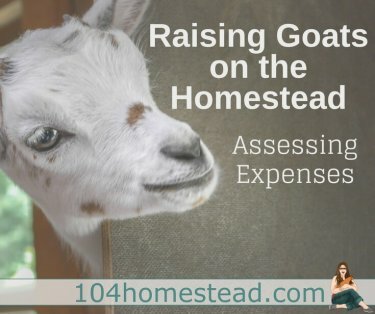 I’m glad you enjoy receiving The Homestead Helper and will definitely keep you on our list. What a great post! So many good ideas…we’re always trying to find ways to minimize our trash, and I’m bookmarking this for the day we don’t live in an apartment and can garden! Thanks! I love to reduce my trash. I live in a small town and remember going to the local dump to drop off trash. As an adult, I realized that the dump is very close to the lake in which our drinking water comes from, but they shut it down several years ago because it was full. We compost and reuse a lot, but we have trouble recycling. There is no public recycling here. The nearest recycling center is over an hour drive away. What I see most of all is the more I reduce waste, grow my own food, and try more homemade things, I see how very little effort people put into trying to make a difference on reducing their waste while complaining that people waste too much. But it does overwhelming because everything seems to come with plastic. Yes I know. Ever year my compost j produces tomatoes plants etc. in my garden.